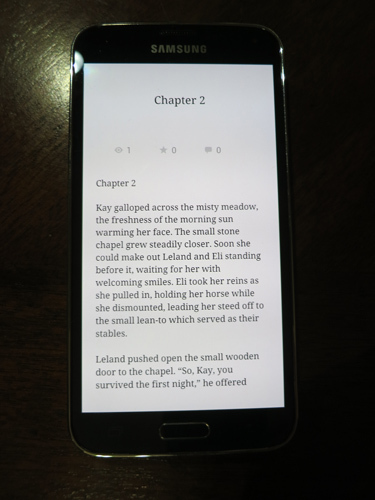 WattPad is a hugely popular reading platform for people who read romance, science fiction, and fantasy on their cell phones. It does also have other users, and is read in other ways, but if you're a romance, sci-fi, or fantasy author, you definitely need to look into WattPad. 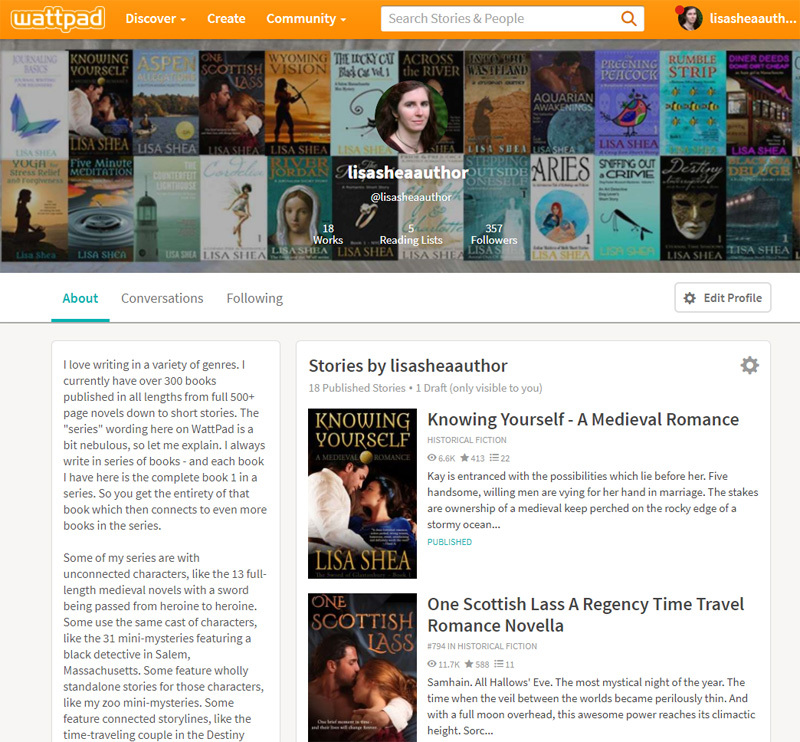 WattPad is designed to be extremely simple and is geared for FREE books. There aren't lots of formatting options here. You can't have clickable links - just raw text, bold, and italics. It's meant for simple books for people to read in a simple manner. To begin, go to WattPad.com and sign up. It takes only a few seconds plus an email verification step. Then click on "CREATE" to create your book! You need all the normal things. A cover, a descriptive blurb, and a few keywords get you started. Now start adding the "parts" - the chapters. This is where you start cutting and pasting from Word. Remember, it's only going to move the bolds and italics. This is meant for simple books. So add in each part with its chapter heading and the text of that chapter. When you paste in the last chapter and save it, you are done with your first book! 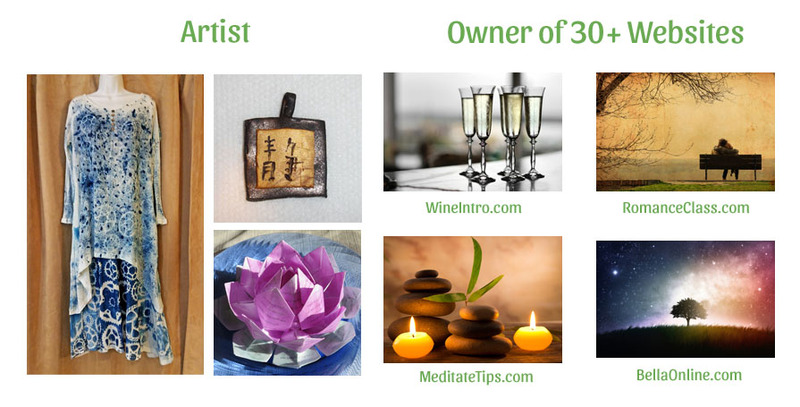 Now click on your name in the top right corner and customize your profile. You want a top banner area that is 1920 x 600 pixels wide. They're going to darken it, so keep that in mind. Also load up a photo that'll work well when cropped into a circle. 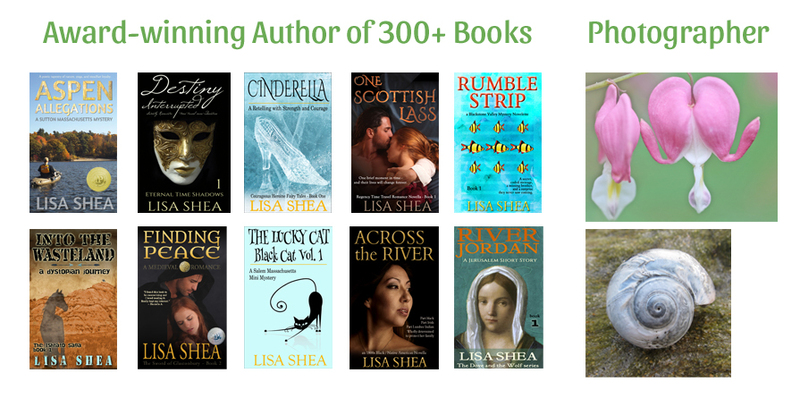 So here is my author page. For each book you load in it shows you the number of people who have read it (the eyeballs), the number of people who marked it as a favorite (the stars), and the numbers of lists it's been added to (the list icon). The idea is to use WattPad to gain fans for your for-sale purchases. You reach those millions of readers on WattPad who then might be lured into paying for your books on Amazon, iTunes, Nook, or other for-pay areas. You don't have to load an entire book into Wattpad. You can just load a few chapters as a teaser so people learn more about you. Then you can send them to Amazon for the full story. Let me know about your experiences with WattPad!